I’m not the biggest fan of Chinese food, maybe because I’ve never had any good Chinese food. It always tends to be too greasy and feels unhealthy. The other issue is that most Chinese food is heavy with the pork and the kitchens tend not to care too much about cross contamination. 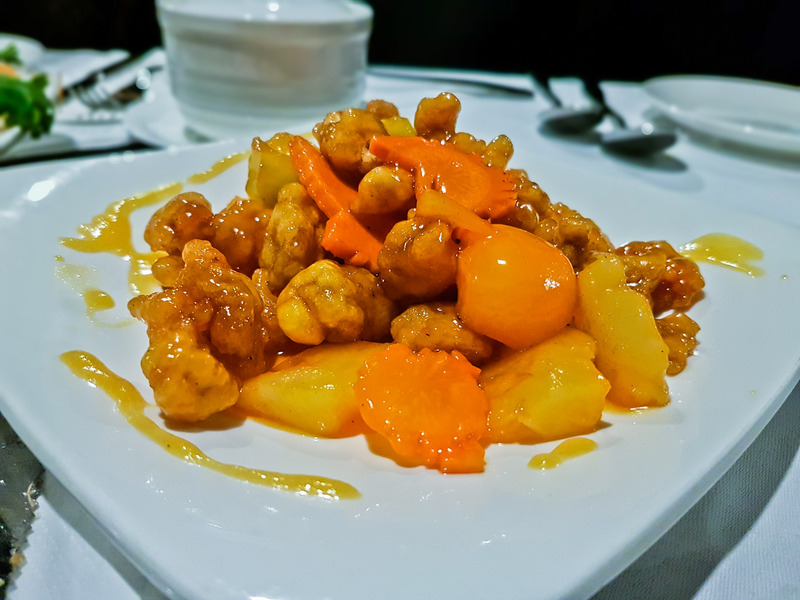 Cocochino is the first and only halal Chinese restaurant in Chinatown. Furthermore, they also don’t serve pork on the menu and don’t use any alcohol in the sauces. The venue itself is located in a basement so there’s no natural lighting. I found the venue to be a little cold in terms of the lighting, decor and atmosphere. It just didn’t feel that welcoming. The decor is also a little dated, there are some slight modern elements, but then tables are covered in a thick white table cloth, that appears to serve an unintentional purpose of just showing up oily patches from any spillage. I’ve never been a fan of a tablecloth on a table. It’s trying a fine dining look but doesn’t do enough to pull it off. Crispy duck spring rolls. Served with what they call a special secret soy sauce. One of our favourite dishes on the night. 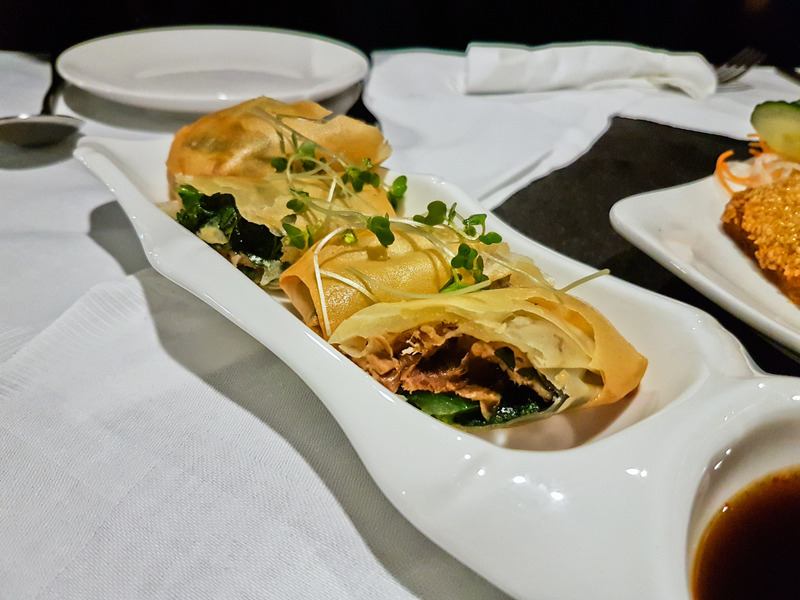 The duck was delicate and the accompanying sauce complimented the crispy spring roll really well. You can’t go to a Chinese restaurant and not order prawn toast! 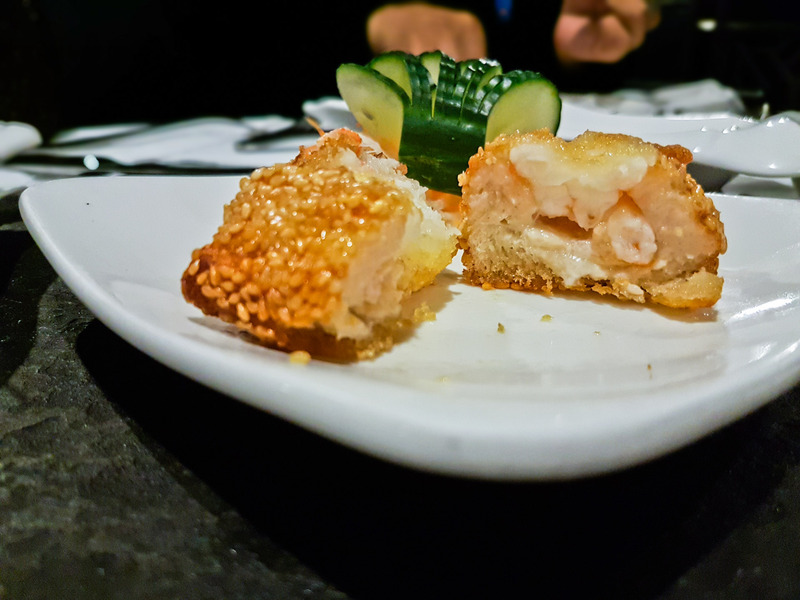 The version here did a different take on a classic and encased minced prawn and a whole prawn in battered bread. I liked that these were different to the standard, the use of a whole king prawn was a valid touch. We ordered 3 mains and also received one house special as a complimentary dish. Let’s start with the Kung Pao chicken. The presentation was good but the taste and flavour of this dish were not as good as it looked. What I didn’t like was the cheeky over use of cashew nuts that looked like chicken. This dish just didn’t work. There was also no need for a crispy noodle basket. 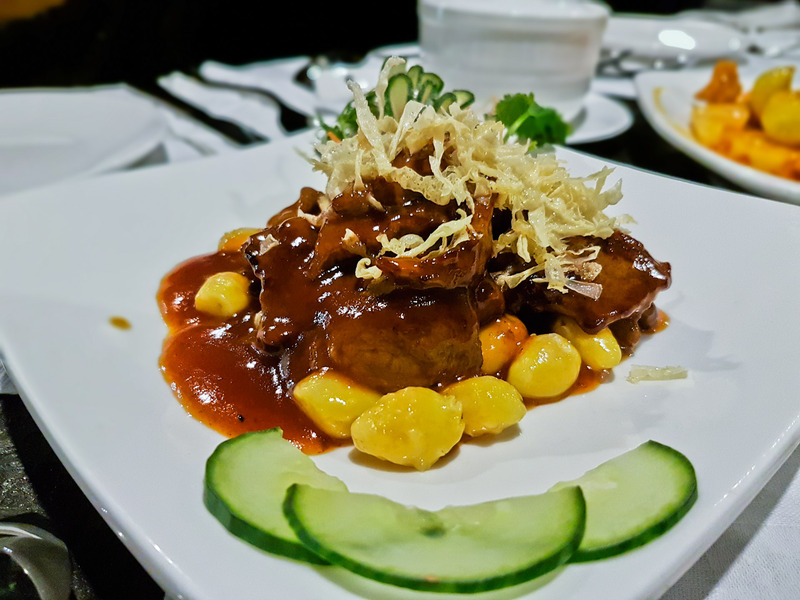 The remaining mains were the Beef in a Chinese-style sauce and a complimentary dish of fish in a cheese sauce. These were the standout dishes from the mains, the beef was tender and well spiced, with a range of flavours. 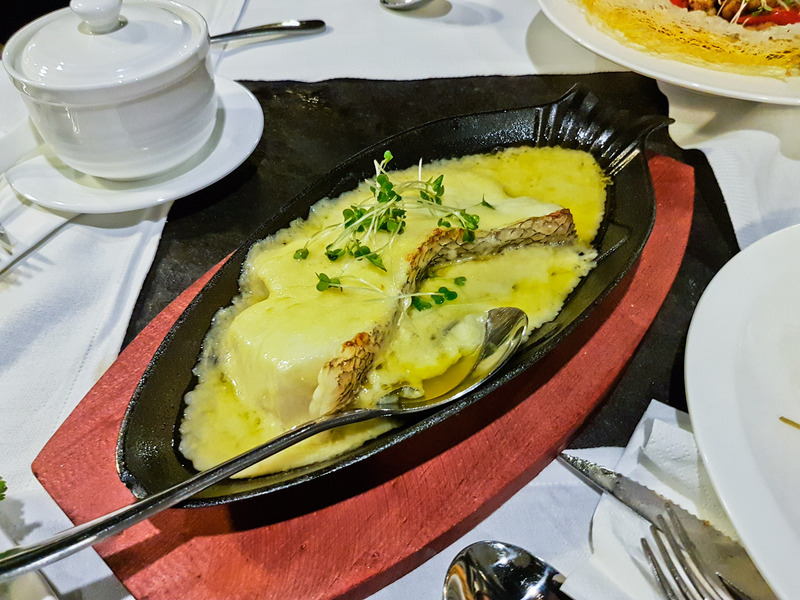 The fish was the surprise of the night with perfectly cooked fish, flaky yet juicy, in a velvety smooth cheese sauce that covered each bite with a unique flavour. At the time of visiting, there was no dessert’s available, so they gave us a small fruit platter. Overall, I’m not sure how I feel about this place. I asked myself would I visit again, and the answer is “no”. For 2 reasons, the atmosphere is not warm and is a little cold, second, the food is a little overpriced for what you get, the total bill was £77 for 4 people. But I don’t think anyone of us left with our stomach’s satisfied. 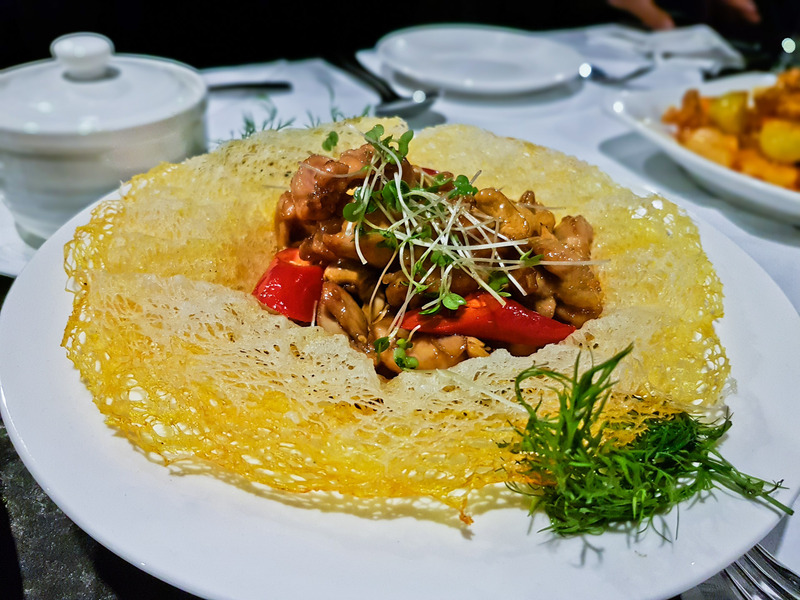 The food was just okay, with the exception of 2 dishes – which we really liked. Also, all the staff and other customers were of Chinese appearance (sorry) so food (and service) is pretty authentic. 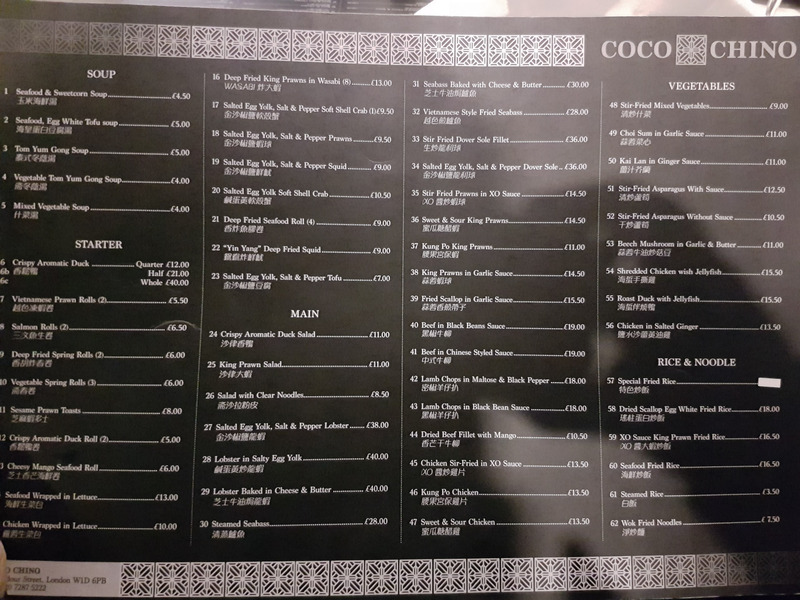 Hey Buddy!, I found this information for you: "Coco Chino (closed)". Here is the website link: http://halalfoodguy.co.uk/coco-chino/. Thank you.